What Is A V5C / Logbook? Who Can I Trust To Scrap My Car? Scrap car owners typically ask 'How do I scrap my car? ', 'Where can I scrap my car? ', 'How can I get the best quote for my scrap car?'. In the 'bad old days' when you needed to remove a scrap car, you had to reach for the phone directory, try to find a local car scrap dealer, then to add insult to injury, you had to pay the car scrapper to remove your car! Thankfully, those days are gone and companies such as Motorwise can now help you remove your scrap car with a few clicks of your mouse! How can Motorwise help me to scrap my car? Here at Motorwise, we know all there is to know about how to scrap a car. As one of the U.K.'s largest national online scrap car services, we have years of experience and can help every step of the way. We are licenced by the Environment Agency as a Waste Carrier Broker and we only work with similarly licensed and approved Authorised Treatment Facilities (ATF's). ATF's are the only organisations who are legally authorised to dispose of scrap cars. Every ATF in the Motorwise network is licensed either by the Environment Agency, Scottish Environment Protection Agency or Natural Resources Wales. Our scrap car recycling services are the ideal way to ensure your scrap car is safely and legally removed and scrapped entirely in accordance with the environmental regulations. What's more, you'll receive a great price for your scrap car. 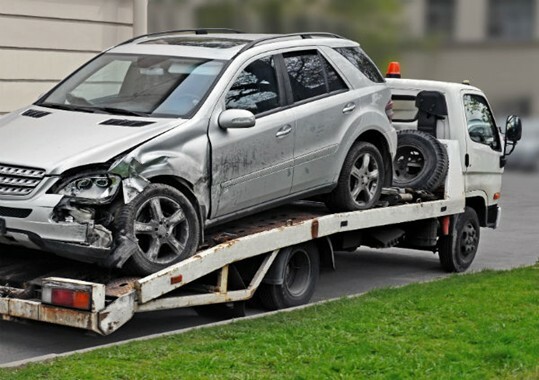 Plus, we can arrange to remove your scrap car free of charge. Once you've accepted the instant online we'll arrange for the recycling centre to call you to book the collection of your scrap or salvage car.